Sleepyhead is a great resource for those that either have trouble falling asleep or staying awake. The author suffers from narcolepsy and frequently falls asleep at inappropriate times. He relates his own story and states that the average time before narcolepsy diagnosis is 15 years. However, Sleepyhead goes further than just narcolepsy. It also contains the possible reasons for other sleep disorders like SCN. SCN is the molecular circuit that controls when your body wants to sleep and rise. Many people do not have a 24-hour cycle meaning that they go to sleep and rise at variable times each day. Even moving your bedtime by 15 minutes per day either earlier or later makes a large difference over the course of a year. 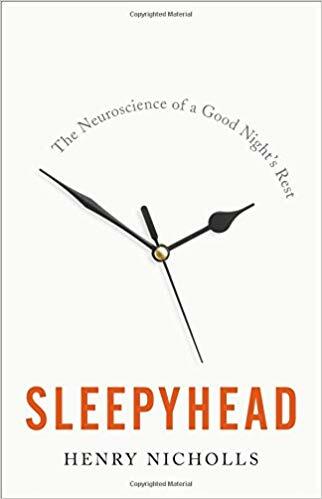 The book also discusses seasonal effective disorder and insomnia as well as the impact of daylight savings time on a body’s sleep cycle. The best part of the book for me was the author’s note at the end that tells readers how to find more information about their particular sleep issue. In addition, Sleepyhead has comprehensive end notes referencing all the sources of the information in the book. The end notes make up 20% of the book. Sleepyhead is a great resource for the sleep-challenged among us. 4 stars! Thanks to Perseus Books and NetGalley for an advance copy.